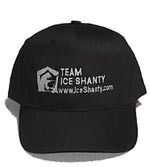 Please allow 1-4 weeks delivery time on all iceshanty store items. 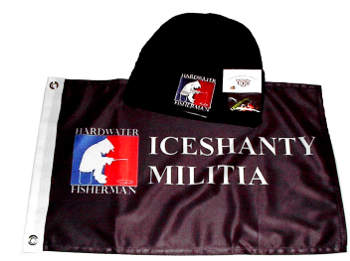 Show you support Iceshanty.com with a special issue militia forum icon. Ignore board, allows you to select boards to ignore. Click here for more milita package information. 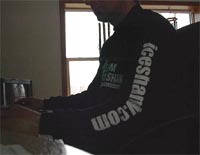 Most of the iceshanty forum boards are represented. Baseball caps: Low profile, bio washed cotton, 6-panel construction, unstructured with tri-glide buckle closure. Flatbill cap comes in 2 sizes Small/Med and Large/XLarge. Made from poly-weave spandex ensures you get a superbly comfortable fit, while the flat bill keeps you looking up-to-date. Skull and stocking caps are 2-ply acrylic fabric approximately 8.5" long for skull style or approximately 12.5" long for stocking cap style. Layer up with the 6.1-ounce, 100% preshrunk cotton, taped neck and shoulders, Lycra reinforced collar and cuffs, double-needle stitching throughout. 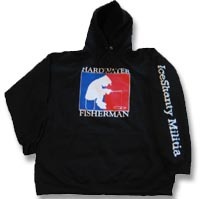 Recently updated with full chest logo/ iceshanty.com down the sleeve. 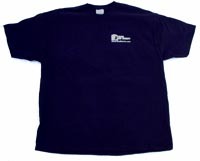 BY ORDERING FROM THIS SITE YOU ARE AGREEING TO THE FOLLOWING RETURN POLICY: You may return your purchase for any reason within 14 days after receiving your merchandise for Refund Or Exchange Only. All items returned must be unworn, unused, and in their original condition with the tags still attached. ALL SHIPPING IS NON-REFUNDABLE. 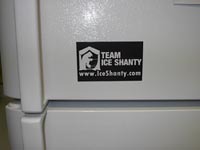 Iceshanty.com is not responsible for misuse, mishandling or any other actions or inactions attributable to the purchaser and or carrier (United States Postal Service, UPS etc). Please allow 1-4 weeks delivery time. 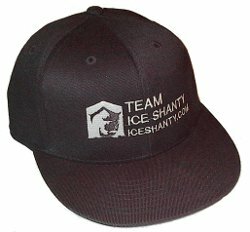 ©1996- Iceshanty.com. All Rights Reserved.